2015 Season: The 2015 Seattle Mariners were picked by many, myself included, to make some real noise in the AL West, with a strong chance at making the playoffs. This was not the case. 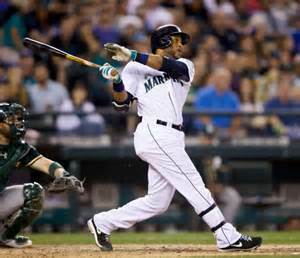 On the heels of an 87-win season in 2014, the 2015 Mariners were flat out of the gate and stumbled to a 76-86 record despite adding slugger Nelson Cruz to the mix. Franchise second baseman Robinson Cano struggled mightily in his second year in Seattle, compiling a very underwhelming .287 Avg. with 21 HRs and 79 RBIs. Had Cano, the 10 year, $25 million a year player, not bounced back in the second half of the year, those numbers would be even worse. The pitching was not much better, as a rotation filled with promise pitched to a 4.17 ERA (22nd in the ML), while the bullpen didn’t fare much better with a 4.15 ERA (25th in the ML). Key Additions: The first key addition was the hiring of new GM Jerry Dipoto who in just 3 ½ months has changed 19 of the 40-man roster from last season and 30 of the 59 players currently in big league camp, although none of them with particularly huge impact. Offensively, Dipoto secured the acquisitions of OF Nori Aoki, catcher Chris Iannetta, first baseman Adam Lind, and OF Leonys Martin, while adding relievers Joaquin Benoit and Steve Cishek, along with starters Wade Miley, Nathan Karns, and Hisashi Iwakuma who resigned with the Mariners after failing a physical for the Dodgers. Key Losses: You don’t add nearly 19 new players to a team without having to trade away or lose some players yourself. However Dipoto was able to revamp this team without giving up the bank for any players. Seattle parted ways with first baseman Logan Morrison and mark Trumbo, both who failed to live up to expectations in 2014, along with shortstop Brad Miller, starter Roenis Elias and relievers Tom Wilhelmsen and Carson Smith. The biggest loss from this bunch is Smith. Just 26 years old, Smith was showing signs of a dominant closer in 2015, tossing a 2.31 ERA to go along with 92 strike outs in just 70 innings. He was traded for Wade Miley from Boston, an innings eater with a league average arm. Granted this move was made when Iwakuma was supposed to be wearing Dodger Blue, but the fact remains that a young talent showing glimpses of dominance who is under contract for the next 5 years was traded for an unimpressive number 3 or 4 starter. Not a good deal. The addition of Nori Aoki was a great get for Seattle at the top of the lineup. Not only does Aoki play an above average outfield (he did not make an error in 2015), but he is the perfect table setter for the big sluggers in the middle of the order. A career .287/.353/.386 hitter, Aoki knows how to get on base and has the potential to run on the bases (14 stolen bases last year) but his age (34) may mean that he is less likely to bolt for second as often. Behind him is the biggest question mark in the offense, sophomore shortstop Ketel Marte. Marte spent most of the year at AAA, but was called up for 57 games, batting leadoff for 54 of them while hitting 2 HRs, 17 RBIs, and .283 with eight steals. He slots in at the two hole right now due to the fact he was their leadoff guy for much of his time in the majors last year, although Seth Smith or Leonys Martin could jump up there if Marte fails to produce. 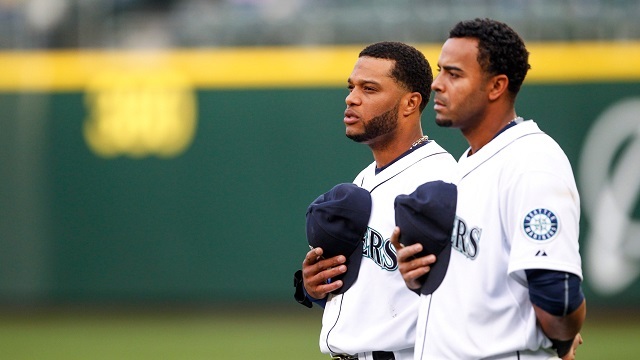 Behind Marte come the big guns in Robinson Cano, Nelson Cruz, and Kyle Seager. How this trifecta performs in 2016 is how the overall offense will do as they are the mashers in the middle of the lineup who need to live up to expectations. Each should be aiming for 20+ HRs and 90+ RBIs. Failing to reach those levels will result in a weak Mariners lineup which is already playing at a disadvantage playing half of their games in pitcher friendly SafeCo Field. Following up this bunch is first baseman Adam Lind who I believe is a great fit for Seattle with his combination of power and On-Base Percentage. Meanwhile, Seth Smith continues to be an average ML outfielder while Chris Iannetta will look to bounce back from a terrible season with the Angels where he failed to get over the Mendoza line. Iannetta does have some pop, but that pop will be diminished at SafeCo. Seattle will be looking for marked improvement from their pitching staff in 2016 in comparison to a underwhelming 2015 season. 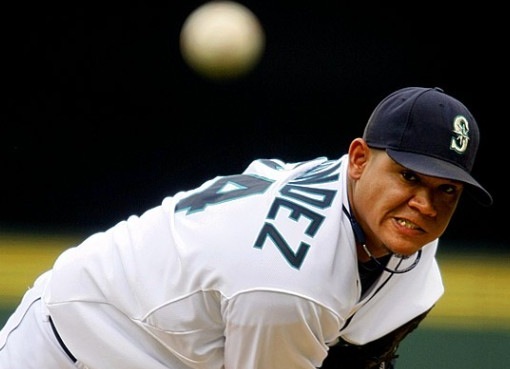 Former Cy Young winner Felix Hernandez is the clear leader of the rotation, but after throwing 190+ innings for the tenth consecutive year, the mileage on his right arm may be beginning to show as he posted a 3.53 ERA last year, his worst ERA since 2007. A 3.53 ERA would be a decent season for any other pitcher in the American League, but for an ace like King Felix that number is way too high. Like fellow work horse CC Sabathia, Hernandez may be finally wearing down. Sabathia had thrown 2,364 innings before he saw a big drop off in production in 2012. Hernandez, currently at 2,262 innings pitched may only have a season or two more of elite numbers before he too may hit that wall. 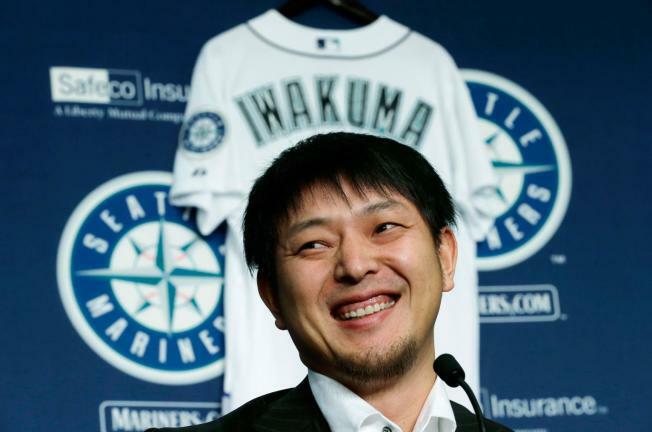 After Felix, Seattle was fortunate that they were able to re-sign Hisashi Iwakuma. The 34-year-old ‘Flying Salmon’ has posted great numbers in his first 4 years in the Bigs, amassing a 47-25 record to go along with a sparkling 3.14 ERA. 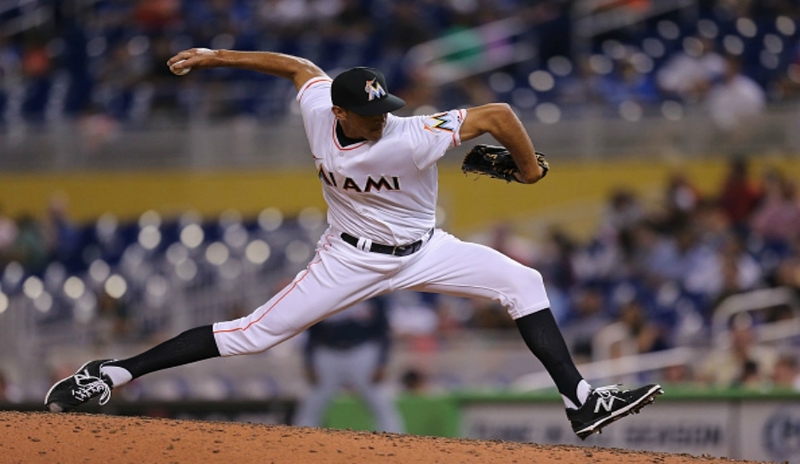 After being injured to start off the 2015 season and failing his physical with the Dodgers in the offseason, he will be out to prove that he is healthy and can still pitch at an elite level. Meanwhile, 23-year-old Taijuan Walker continues to show great flashes of talent but will attempt to provide that on a more consistent basis in 2016. If he can do that, the Mariners will have a very formidable 1-2-3 at the top of their rotation. Newcomers Wade Miley and Nate Karns round out the rotation and will be looked upon to eat up innings while providing serviceable to above average production for back end starters. Miley was a complete failure in his one and only season with the Red Sox. The former All Star will look to right the ship in 2016. Karns has shown that he can throw (averaging a strike out per inning), but has only pitched one full season in the Majors and still needs to learn how to keep runners off base (nearly a 1.3 WHIP in 2015). Both Miley and Karns should be helped by the pitcher friendly confines of SafeCo. The loss of Carson Smith was a blow to the Mariners’ bullpen, but they are attempting to replace him with new additions Benoit and Cishek, both of whom have experience closing games and are reliable back end of the bullpen options. Furbush will again be called upon to get lefties out while rookie Tony Zych showed flashes in his brief time on the big league club in 2015 and will be looked upon to continue his progression this season. A strong showing by Zych will help ease the departure of Smith as another young hurler out of the ‘pen. 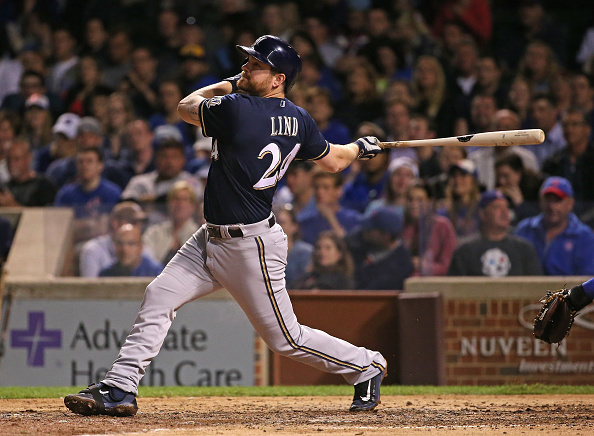 I have always been a fan of Adam Lind and what he could bring to this Seattle team is big. With the Mariners having bounced around from first baseman to first baseman in recent seasons, the 32-year-old has the potential to be the most productive player they have had in years at that position. Coming off a banner year with Milwaukee where he hit .277/.360/.460 with 20 HRs and 87 RBIs, Lind could go a long way to making this offense feared and respected. His ability to hit for power as well as get on base should lengthen a Mariners lineup that could be suspect past the top 5 while providing insurance for Cruz and Seager who will bat in front of him. Lind’s issues have always been hitting lefties, but with former blue chip prospect Jesus Montero acting in a platoon situation, Seattle could get far more production from the first base spot then they have. HBT’s 2016 Season Prediction: This is a tough team to get a pulse on this year. If Felix pitches like a king, Iwakuma, Walker, and the rest of the rotation can exceed expectations, and the middle of the lineup can mash (looking at you Cano), this team has all the tools to win the AL West. However, if Hernandez does being to ware down, Iwakuma can’t stay healthy, Walker doesnt continue his improvement, and Cano fails to live up the back of his baseball card, this could be another long season for Seattle. I tend to believe that this team will play more like the 2014 version of the Mariners rather then the disappointing 2015 team and will be fighting for a playoff spot late into September. My prediction, they will win 84 games but will just fall short of making the playoffs.